Because my flight didn't leave until that night I had one day to explore O'ahu. 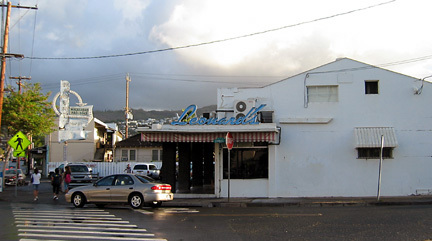 I started with a trip to Leonard's, a Portuguese bakery just outside of Waikiki. Leonard's specializes in malasadas, which are like jelly donuts without the jelly. I didn't know that when I asked for one. After I asked the woman behind the counter turned around and walked into the back of the bakery. I was pleasantly surprised to find out why - malasadas are served fresh out of the fryer. Incredibly delicious! There's no photo because I inhaled it.